With the help of VIP partner, CID Entertainment, George Strait is running an auction for the majority of shows on The Cowboy Rides Away Tour to benefit The Jenifer Strait Memorial Foundation. The winning bidders will receive a pair of front row seats and Meet & Greet passes to meet the iconic George Strait. All proceeds benefit The Jenifer Strait Foundation. The Jenifer Strait Memorial foundation was set up to honor the memory of Jenifer Strait, George’s daughter. The fund donates money to various children’s charities in the San Antonio and Houston area including The Boys and Girls Clubs of San Antonio and St. Jude’s Ranch. 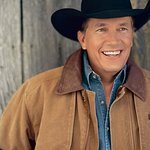 The Cowboy Rides Away Tour will offer fans one last opportunity to take in “The King of Country” live. This tour is sure to be filled with all of the hits from throughout his remarkable career as well as new music from his latest album. 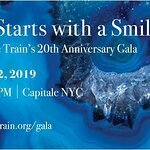 There is no better way to experience George Strait’s final tour than with the incredible prizes available through the auction. Special guest Martina McBride is also set to join Strait for the 2013 dates. The auction is currently underway and will be open until Thursday, November 1, 2012 at 3:00PM ET. CID Entertainment is also offering two exclusive VIP packages at each stop on the tour. The packages include front row tickets, private pre-show, admission to a private exhibition of Strait’s memorabilia, and more. Purchasing information and additional information about the VIP packages and the auction can be found at www.cidentertainment.com/georgestrait.